Neck pain is exceedingly common in Malaysia. Neck pain treatment is almost always flawed in most therapy centers that offer care in Malaysia! Most neck pain sufferers find little to no long-term benefits from the care they get. These are alarming issues, especially in our internet age, where neck pain and upper back pain is nearing epidemic levels. Malaysians need better accesses to health care providers that treat the root causes of neck pain rather than covering up the symptoms. This blog (Chiropractic-in-Malaysia) is brought you by the best non-surgical clinical teams Malaysia has. The Chiropractors and Physiotherapists of Chiropractic Specialty Center in Kuala Lumpur Malaysia have taken up the challenge of providing Malaysians with information on how to stay active and healthy. This page and other pages on this blog are to help your recovery and to assist you in staying fit. The best healthcare practice is to stay healthy. Healthcare as we see it is taking care of healthy people, so they don't get sick. Unfortunately, many centers, hospitals, clinics are all sick care driven. In other words, they wait until you fall apart and then provide care or surgery. Not us, Not at Chiropractic Specialty Centers and most certainly Not by Chiropractic-in-Malaysia blog. Our aim is to keep you healthy and active. Neck and upper back are areas of the body that needs the attention of regular intervals to avoid bigger issues as we age. Therefore, we would like to share some secrets with you that others may not know. The key to healthier neck and avoidance of neck pain in Malaysia is to have balanced soft tissues in the upper back. A Sedentary lifestyle tends to create muscle tightness of our postural muscles. Prolonged computer, poor work station ergonomics and stressful bad posture can result in forwarding head posture and rounded shoulders. These muscle imbalances in the upper back and neck can cause muscle tightness and pain. Rhomboid muscles are rectangular muscles that lie between the midline spinous processes of C7 through T5 and the inner border of the shoulder blade. The main actions of the rhomboids are retraction, elevation and downwards rotation of the shoulder blade. There are a few different ways to stretch the rhomboid muscles. Sit on the floor and bend both of the knees slightly, keep both of the heels in contact with the floor. Hold on to the back of your thigh with your hands. Try to lean back toward the floor and round your upper back until a gentle pull is felt in the upper back. Hold the stretch position for 30 seconds. Breathe normally and slowly return to the starting position. Repeat the procedure 2-3 times. The following procedure is effective in stretching the rhomboids and upper back muscles. Stand facing a doorway with the right shoulder in line with the left side of the door frame. Grab the inside of the door frame at shoulder level or above head level with the right hand. Keep the right arm straight, and both feet planted on the ground, lower the buttocks toward the floor in a squatting position. Feel for a gentle pull in the right upper back and hold it for 30 seconds. We hope to have provided you with the information you were looking for. Please keep in mind that the stretches and exercises listed on this blog should be cleared by your doctor. 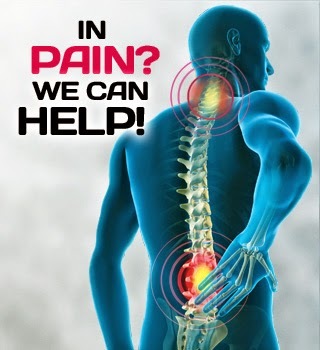 If you do not have a clinical team that takes care of you or if you wish to change chose us: we have the best neck pain treatment in Kula Lumpur, Malaysia. Call us at 03 2093 1000 for centers, locations, services and clinic hours.